The crab spider is a clever and skillful hunter. 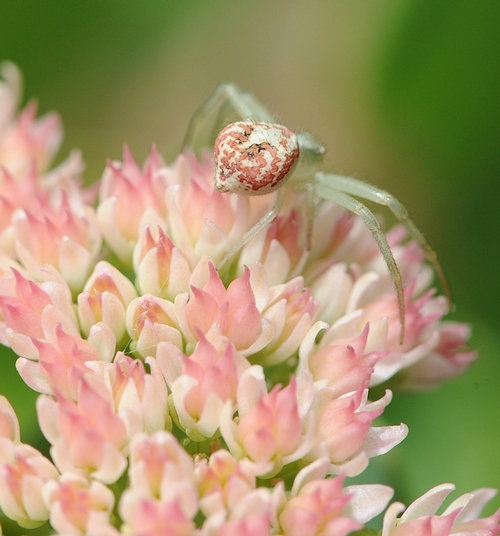 Last Sunday we spotted a camouflaged crab spider (family Thomisidae) lying flat on a sedum. 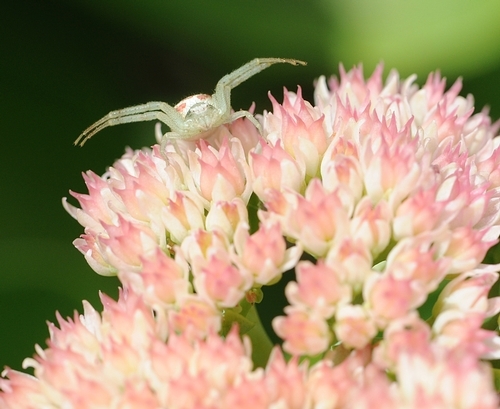 The spider's pink and white abdomen blended so well into the pink and white blossoms that you couldn't tell where the abdomen ended and where the flower began. 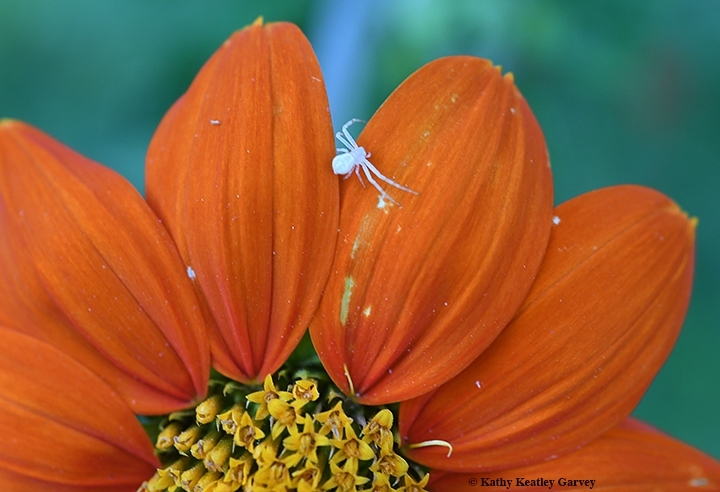 "I don't know how they do it but these spiders take on the color of whatever flower they hang out on," commented Lynn Kimsey, director of the Bohart Museum of Entomology and professor and vice chair of the UC Davis Department of Entomology. Like a crab, the crab spider can move sideways and backwards as it stalks and ambushes its prey. It grabs the unsuspecting insect with its powerful front legs, bites it, and paralyzes it. 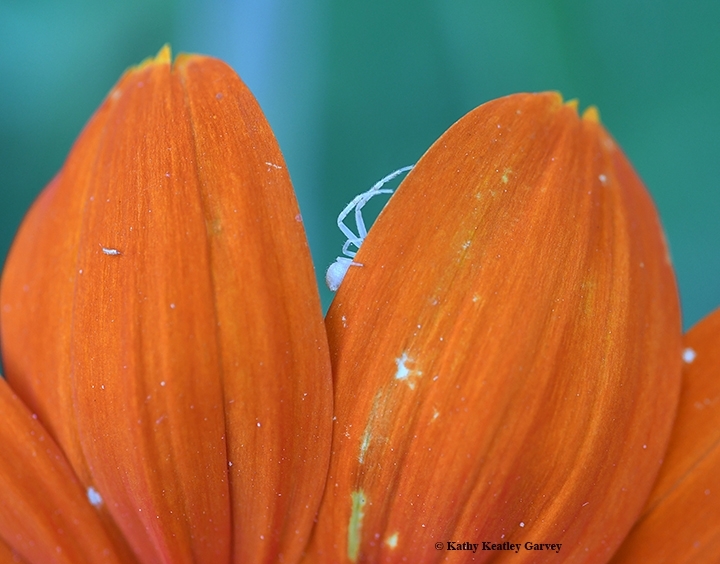 However, this particular spider seemed to be perusing a menu. Hmm, a blow fly, a hover fly, a sweat bee or a honey bee? 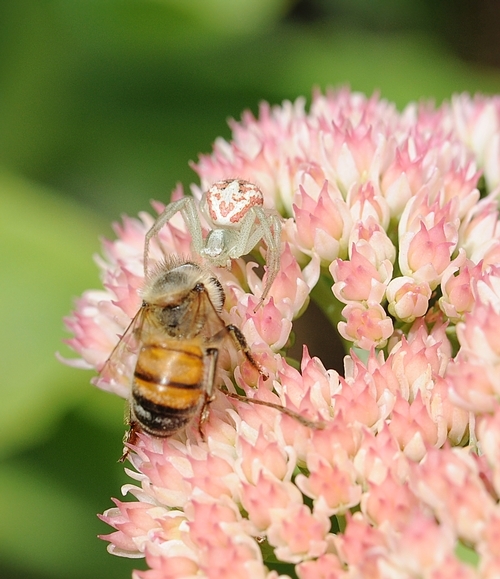 It watched honey bees glide onto the sedum and sip nectar. 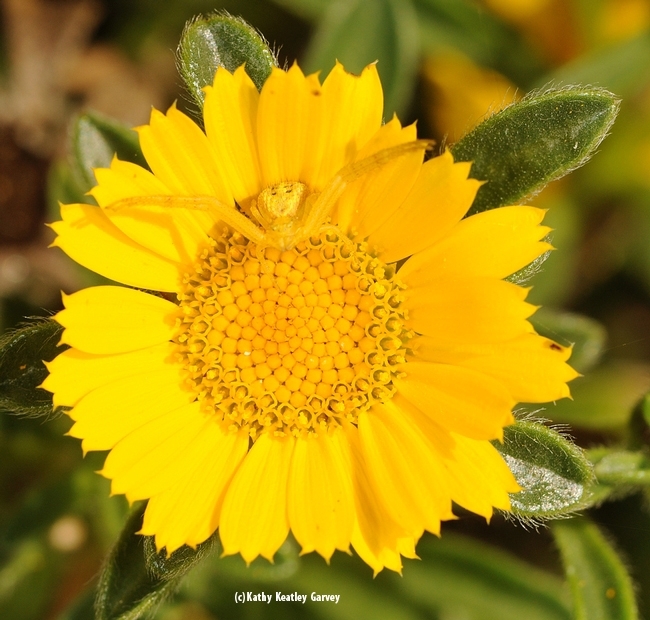 It was touch-and-go; the spider would crawl to a bee, touch it, and the bee would buzz off. "It must not have been hungry--otherwise the bee would have been toast," Kimsey said. We watched the spider for half an hour. The predator and the prey. This time the prey won. Every single bee escaped. No toast today.